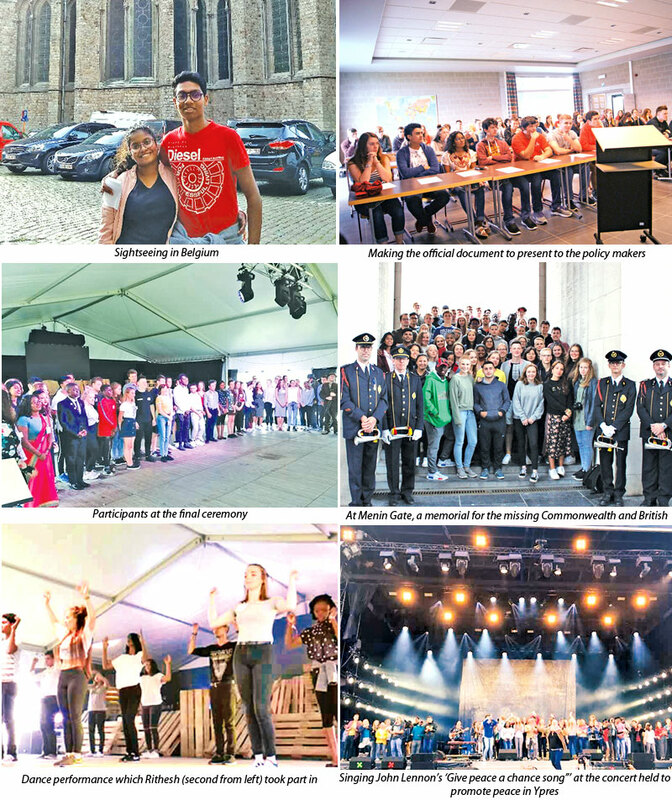 Youngsters from across the world gathered together in an attempt to understand each other in a bid to foster dialog and peace between nations at the Peace Village in Mesen, Belgium. Titled ‘18 in 18’ the project was initiated to celebrate a century since the First World War ended and aimed at gathering around 112 youngsters out of the 56 countries that were involved in it. Around 35 countries managed to send their delegates across for ‘18 in 18’ since some countries had issues with obtaining visas. Two youngsters, a girl and a boy, who had turned 18 years during 2018 took part from each country in the event which ran from August 24 to 28, working together to develop a contemporary peace message to be presented at the end of the project. This was later distributed to policy makers from Flanders, Belgium, the European Union, the United Nations and ambassadors from the participating nations. 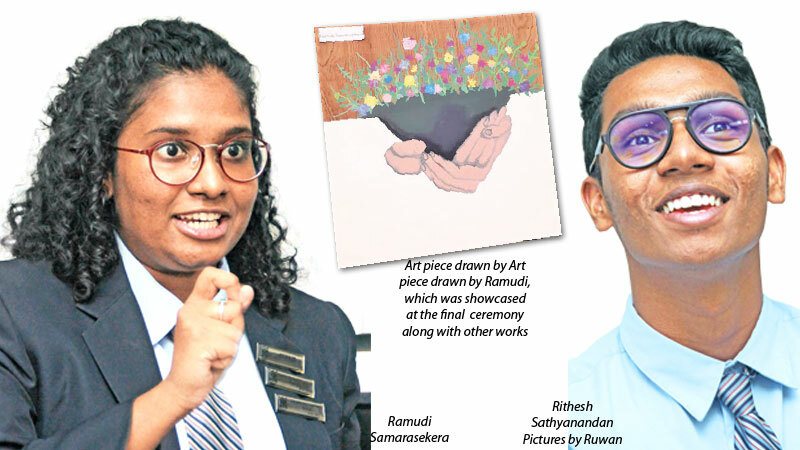 Elizabeth Moir School students Ramudi Samarasekera and Rithesh Sathyanandan were selected by Sri Lanka Unites to take part in ‘18 in 18’. The two students got the rare opportunity to establish intercultural relations as well as to visit places linked to the Great War. They also interacted with their peers, learnt about the diversity of their cultures and took part in the Peace to the World workshops and lectures. “What I learnt from the event is that everyone thinks differently on a subject. We all had different answers to each particular question or issue,” Rithesh said. For Ramudi ‘18 in 18’ was an opportunity to meet and bond with different people from diverse cultural backgrounds. “We had a variety of activities to show our skills. They let us express ourselves in different ways through artwork, singing, drama, dancing, films and food. Rithesh took part in a dance item while I did an artwork,” she explained. Recalling his experience at ‘18 in 18’ Rithesh noted that they were trained by a choreographer in their dance item. The team compiled the dance moves which did not belong to one particular dance style. “We were split up into groups so there were around 10 people in the dance. We decided to do a dance item because whenever you think about sending a message of peace across you turn to media like film making or handicrafts. This was a fresh take on the subject since the ideas are encompassed in the dance moves,” he said. Ramudi notes that they could either work as a team or go solo in making their artwork. They were provided with resources like wood which were sourced from the states across Belgium and thick boards. “My concept was peace emerging through war. My artwork projected an army helmet which had flowers growing from it. Two hands are clasping the helmet,” she noted adding that both of them had to select the genre that they prefer before flying to Belgium. “The contemporary peace message contained 14 statements. They focused on multiple issues such as the improvement of justice systems, effective cooperation, reconciliation and remembrance. We formed the message combining ideas from all the participants,” Rithesh said. An international rural hostel, fully funded by the Flemish government, the Peace Village was established with the inauguration of the Island of Ireland Peace Park in Messines. The memorial was officially opened on November 11, 1998 in the presence of Queen Elizabeth II, Irish President McAleese and King of the Belgians Albert II. The venue overlooks the Messines ridge battlefield of Belgium’s smallest city with landmarks such as the Island of Ireland Peace Park and the New Zealand Memorial to the Missing. One of the highlights of the event for the two youth was meeting a professional director who had brought along his digital cameras for the film workshop. “Trenches that were actually used by World War I soldiers were used during the shooting. Everything was so real. It was an exciting experience,” Ramudi enthused. This is not the first time that the two students have been selected to take part in international events. Rithesh had been to countries like Malaysia for soccer tournaments while Ramudi who is into geography and history had been selected for the annual International History Biennale in the geography category in 2017. Another memorable experience was visiting the Menin Gate Memorial to the Missing. This war memorial in Ypres is dedicated to the British and Commonwealth soldiers who were killed in the Ypres Salient of World War I and whose graves are unknown. Unveiled in July 24, 1927, the Menin Gate Memorial was designed by Sir Reginald Blomfield and built by the Imperial War Graves Commission. “You can actually find names of Sri Lankan soldiers who sacrificed themselves for the war on the memorial. That was a sentimental moment for us,” Ramudi said. Rithesh’s ambition is to become a pilot. Ramudi is into geography and looks towards that sector for a career path. She was also inspired by ‘18 in 18’ to engage in work promoting peace and reconciliation. Queried on why they would encourage other youth to take part in such events Rithesh says that nothing can beat the experience they gained at ‘18 in 18’. “You simply have to go and take part in such events if the opportunity comes your way. You can gain so much for your future through such experiences. We are still in touch with the other youth we met there. Some of them do not know what is happening in other nations. We managed to exchange ideas and get along well despite having different opinions,” he said.